A good friend was visiting recently. She needed to sweep up something and asked for a broom. I handed her a Swiffer instead. She had never used a Swiffer and thought it was great! In just one minute, the whole room had been swept, a dust pan wasn’t needed, and all that was left to do was to throw away the “Trap and Lock” disposable cloth. So easy! She said I should post about it so I took her advice. 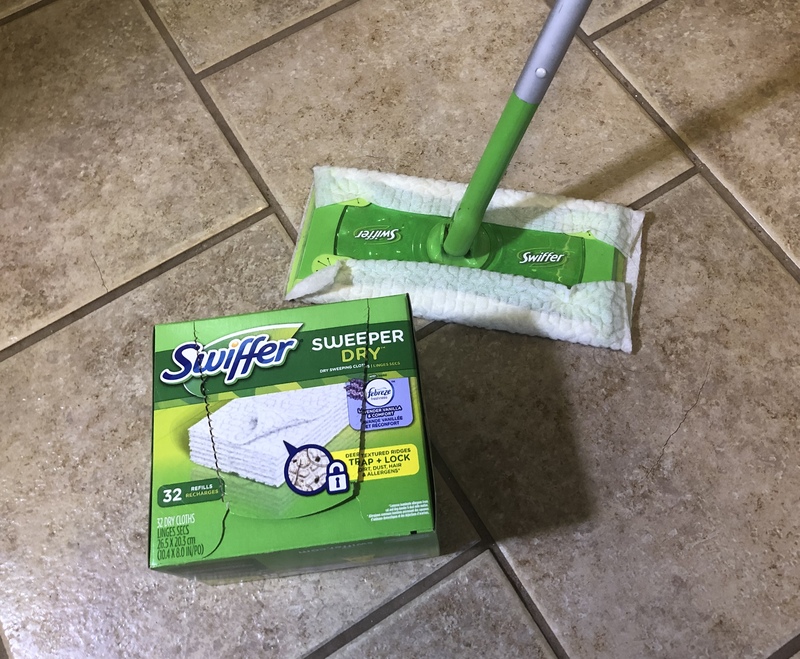 I found out about Swiffers years ago when I was able to review one in exchange for writing a blog post about my review. I have used them ever since then. Do I still have a regular broom? Well, yes. But do I ever use it? Rarely inside the house. In fact, I don’t remember the last time I used a broom. I always use my Swiffer. This book, on the New York Times bestseller list, has sold over 11 million copies to date and has been translated into over 40 languages. Written by Dr. Gary Chapman, it has helped good marriages become better, and it has helped heal marriages with the rebirth of love the couple thought was gone forever. Update: This giveaway is closed as of 2/21/19. Congratulations to Jasmin and Peggy, the two winners of the giveaway! Two winners will receive The Five Love Languages. This Giveaway runs from 2-9-19 until midnight CST 2-21-19, and it’s open to all U.S. residents. I will pay shipping charges. * Note: I was not compensated in any way for this. I am providing the books and shipping charges for this giveaway. For anyone interested, Gary Chapman has also written several different “5 Love Languages” books including one for children and one for teenagers. My daughter, Christi (aka the Frugal Novice), and I went to Dirt Cheap this week. Honestly, I had been there before by myself, and I walked through quickly and thought what a junky store. I didn’t find anything I wanted. Christi and hubby have found some really great bargains there on quality merchandise, so I went again with her and she showed me how to shop. We started on one side of the store and walked up and down every aisle. We glanced quickly but thoroughly on every shelf, and I found several bargains this week. I was excited! See the dimmable LED lantern above? Christi and Brian have two of these that they bought at Target a year ago, and I thought they were cool. Well, I found one just exactly like it for $5 this week. 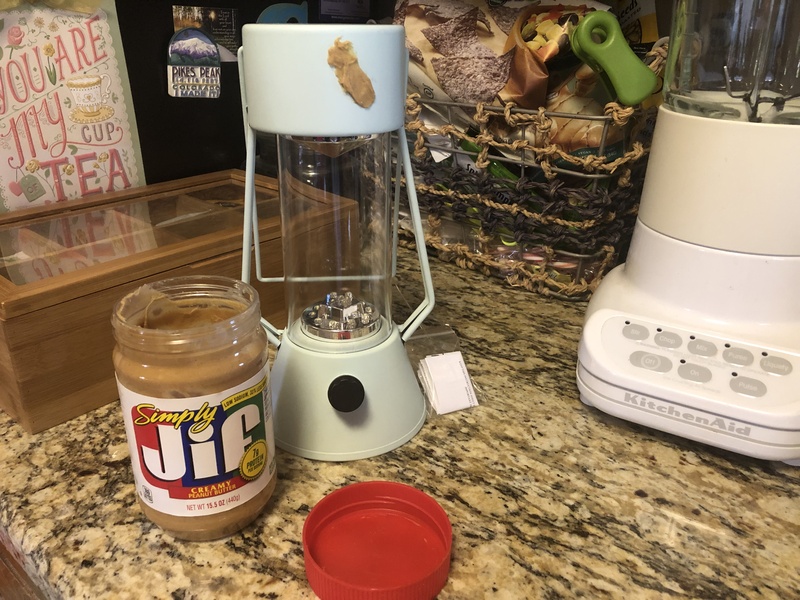 See the brown blob of peanut butter on the lantern? There was a stubborn area of sticker residue that was hard to get off. Simple solution! Put a blob of peanut butter and let it set for several hours. Works great! So, word of warning. Their price stickers are hard to get off. The lantern was a good deal but not as good as the next two fantastic bargains I found. I use a Vicks Warm Mist Vaporizer in my bedroom during the winter season when mountain cedar is going crazy. It keeps any congestion from allergies loose and helps me avoid a sinus infection. I just bought one this week for $15 but after finding two at Dirt Cheap for $1.70 each, I’m definitely returning the $15 one. (It hasn’t been opened and I still have the receipt.) And yes, you read that correctly. They were $1.70 each! The boxes were damaged, but we checked and the vaporizers are in perfect condition. The last absolutely unbelievable bargain was finding Old Navy puffer jackets for $5 each. Christi looked them up on her phone and they were originally $60. I bought two to donate to people who need a coat. Thanks to Christi showing me how to shop there, I think we might be going on a regular basis to hunt for bargains. I forgot to mention that Christi found a cute Gap vest for $5! I realize we won’t always find deals like we did this week, but hey. It’s worth going a few times to find such amazing bargains! 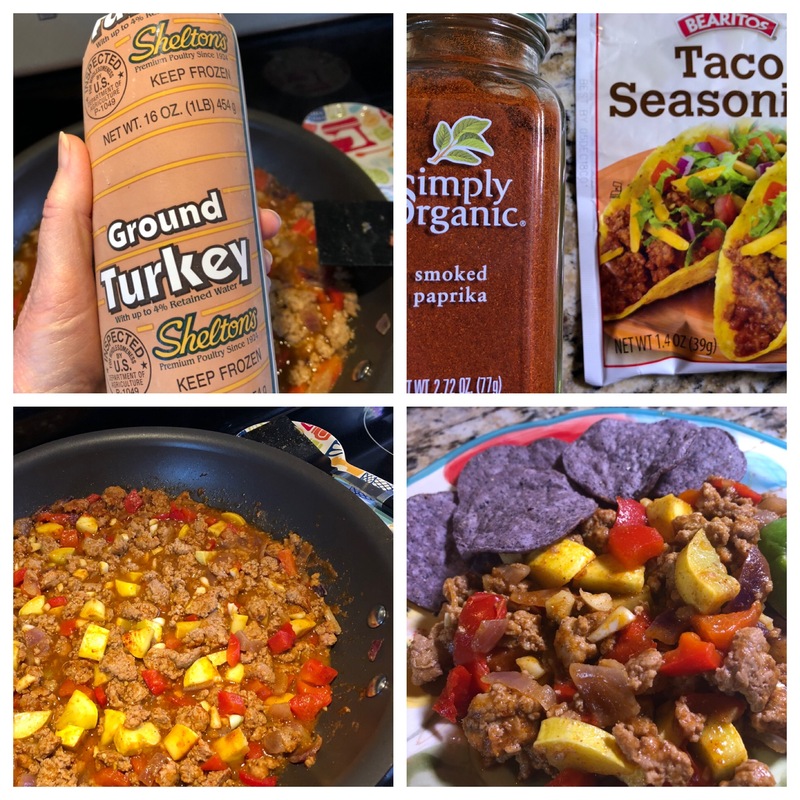 Do you like recipes you can make in five to ten minutes? I do! I used to make desserts from scratch that took a lot of time to make. Haven’t made any of those in years. Here’s the recipe for this absolutely yummy dessert. I like it better than Rice Krispie Treats because it’s not quite as sweet tasting plus it has a lot of flavor. And I think the Cheerios have more nutritional value than Rice Krispies. Just saying! Melt butter over low heat and add marshmallows. Stir until completely melted and mixed together. Take off the burner and add Cheerios, one cup at a time. Stir until mixed well. Spread mixture onto waxed paper or parchment paper, or spread in a pan that has been well buttered. Let cool and then cut into squares. Melt butter and marshmallows in large, microwave-safe bowl for three minutes, stirring after one minute intervals. Stir well. 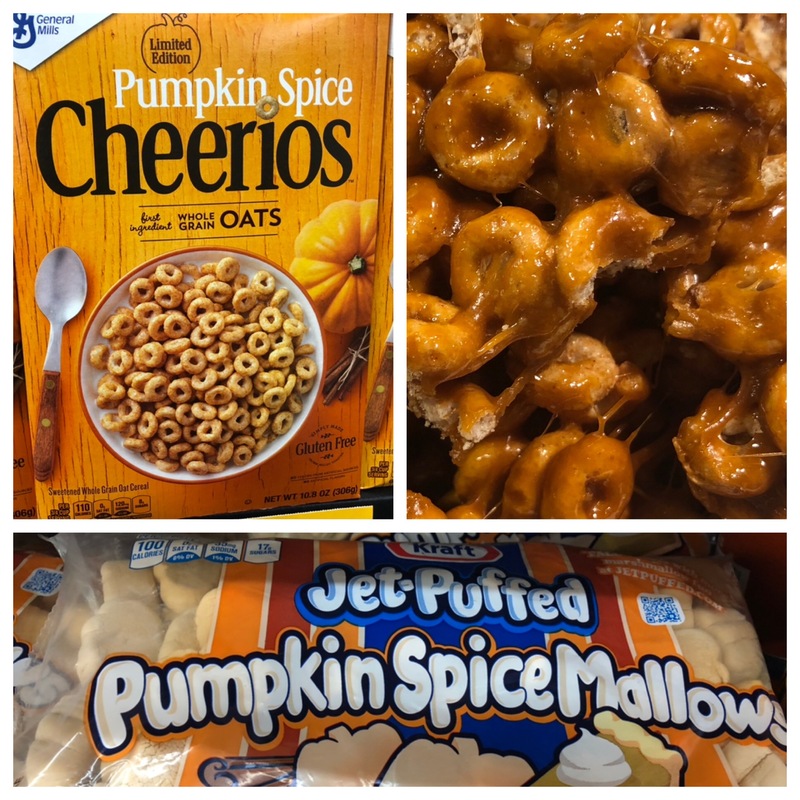 Add Cheerios and mix well. Spread onto waxed paper, parchment paper, or spread in a pan that has been well buttered. Cool and then cut into squares. Does this dessert look good? 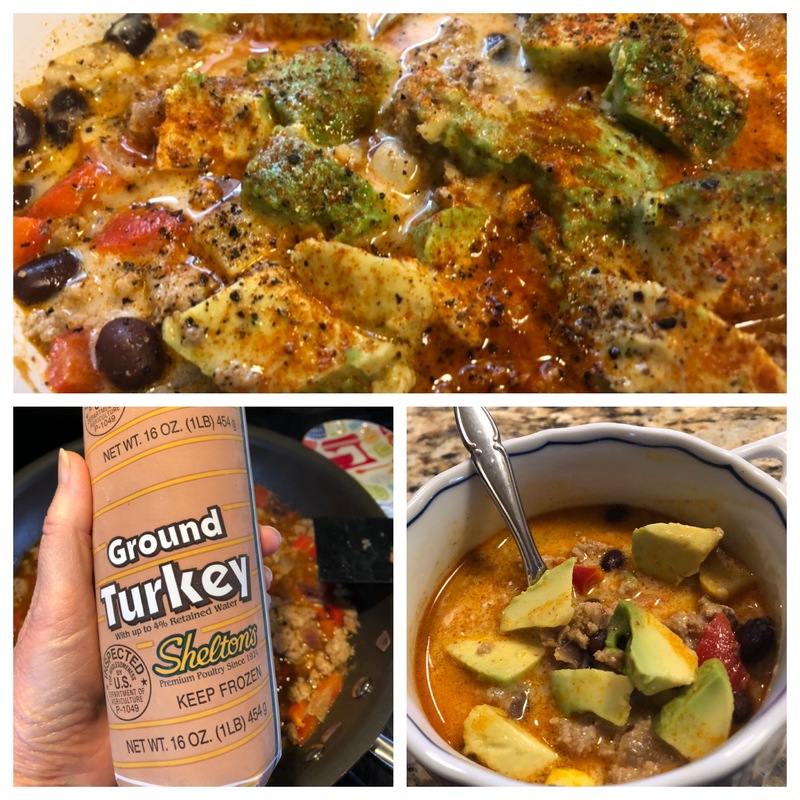 It’s very healthy, packed with protein, live and active yogurt cultures, and minerals like calcium, magnesium, and potassium. Kids would be turned off if they heard that and probably some adults as well. Presentation is important for a “dessert” like this that’s not a traditional dessert. (too healthy). I used one of my crystal stemmed glasses (that hasn’t been used in years) to make it seem like a fancy dessert. I must admit that it’s probably going to taste different than it looks because it doesn’t have any added sugar, but you can add stevia for sweetness. I think it’s good without any added sweetness, but not everyone will agree with me. You can always substitute your favorite yogurt and/or add Stevia. 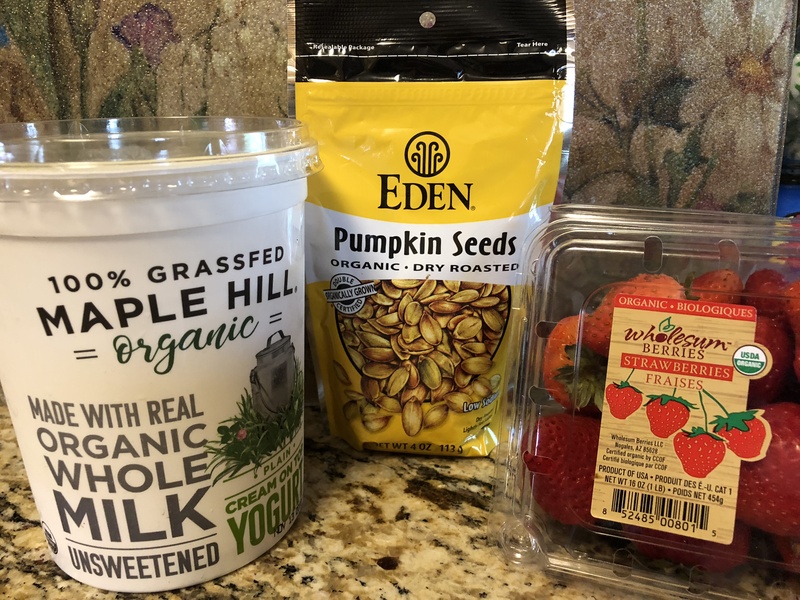 This dessert does have the natural sweetness of the organic strawberries, but the yogurt is tart and isn’t your typical sweet yogurt taste. It’s plain organic, 100% grassfed yogurt without any added sugar. So this dessert has no added sugar. Toppings can vary. The pumpkin seeds are organic that have been roasted and lightly salted with sea salt (I like the salty taste that the seeds add to this). You could substitute organic blueberries or raspberries instead of strawberries. Both are yummy! But most of the time, I prefer just the yogurt and pumpkin seeds. There’s something about the tart and salty tastes together that I like. I buy these products at Natural Grocers, which I frequent several times a month. Pictured below are the brands I buy, but you could use your favorite brands. The Maple Hill Yogurt also comes in flavors such as blueberry, maple, etc., that are sweetened. Sometimes, I have a taste for something a little sweeter so I might add stevia. But my favorite thing to add is a little bit of chocolate syrup. Not just any chocolate syrup, though. The brand below is organic. I don’t think my grandchildren like it near as much as the regular name brand chocolate syrup, but I like it. 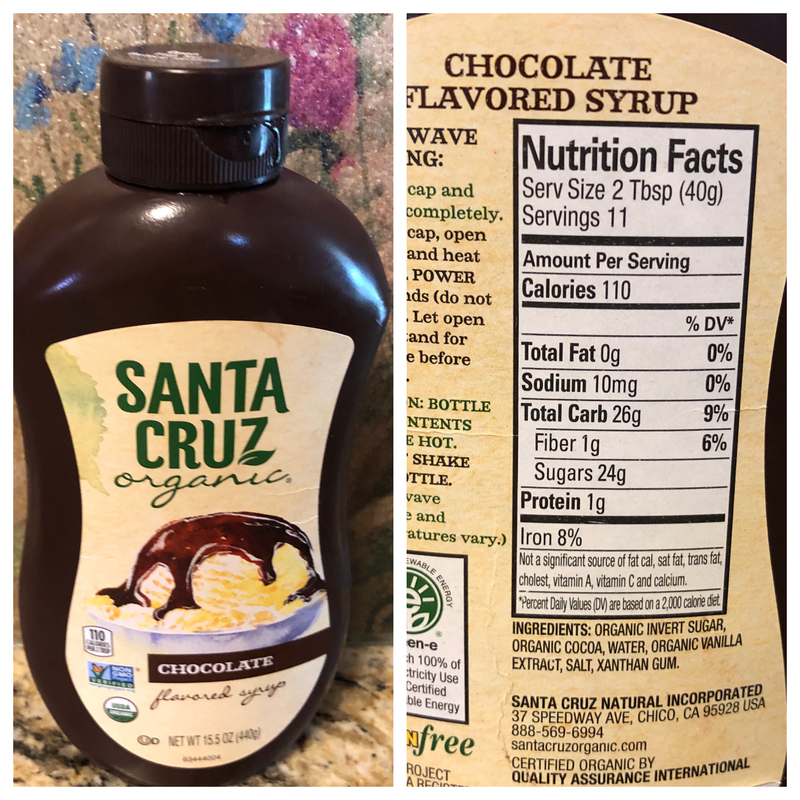 I’ve included the nutritional content of the organic chocolate syrup so you can check out the sugar content. I usually just add one teaspoon to my yogurt. The nutritional info is for two tablespoons. Since one tablespoon equals three teaspoons, what’s listed on the label is for six teaspoons. You can do the math and figure out how much sugar you want to add. I plan to experiment sometime soon and make my own chocolate syrup using organic chocolate powder, vanilla, and organic stevia. As you can see, this is a very simple non-traditional “dessert,” but it’s very healthy and loaded with nutrition. 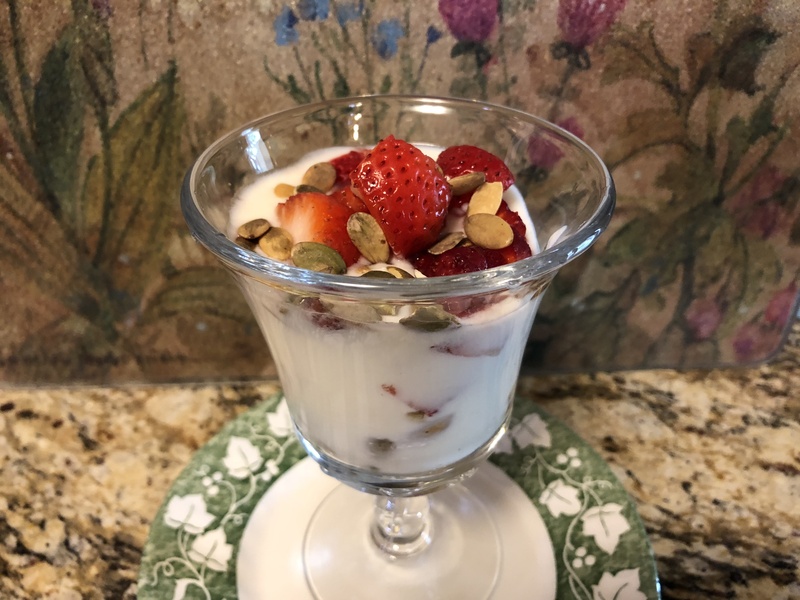 You can use your favorite yogurt, and if you have some fancy glasses or bowls, simple yogurt can seem like something special! I’ve been on a journey the past five years. It wasn’t a journey that I chose, but it’s one that came suddenly and without warning and I had no choice. It’s the journey of deep grieving, going on with your life without someone you deeply love and care about. It’s a very hard journey where your whole world is turned completely upside down when the journey starts, and there’s absolutely no going back. Grief must and needs to run its course. Because of this journey (and if you’ve read my past few posts which have been few and far between) then you know I’ve attempted to start blogging again. Several times, in fact. I don’t know what it is, but I don’t get very far and then I stop writing again. Maybe it’s because there are things deep within me that I need to write about first, but I suppress them because they’re hard things to share. My boss has been my gentle encourager to start blogging again. We start the week on Mondays with prayer time and share our prayer requests. He knows about my grief journey. I’ve poured my heart out several times. A couple of weeks ago, my boss asked how I did it. How did I get through this? I shared about how God has gotten me through my hardest times, how God was and is my strength, how God has given me joy in the midst of my sorrow, and about my dream and purpose for blogging and actually for life. He said something to the effect of, “You did it. You just told me a blog post. You need to blog about what you just told me!” Thank you, Ryan! 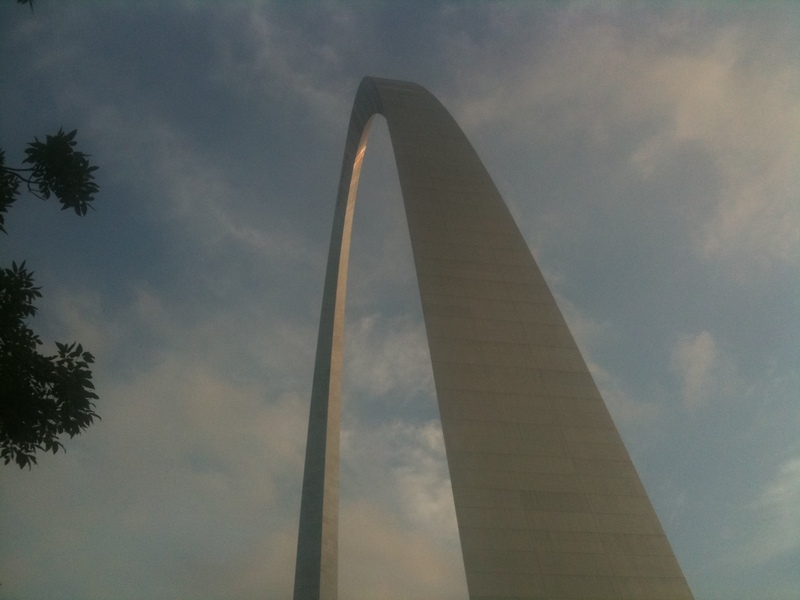 I hope to start blogging on a regular basis again. It feels good to write this post. 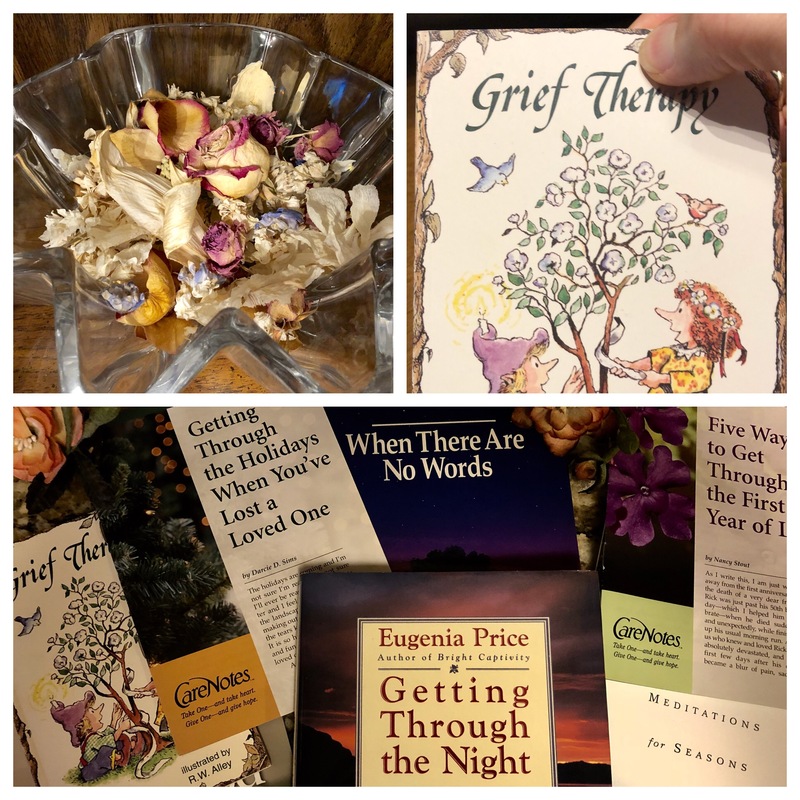 I want to share with others who are going through their own grief journey. We need each other. We need to share what we’re going through and help each other. If you’re reading this and it doesn’t apply to you, I hope this gives you a glimpse into what people who are grieving are experiencing. Maybe you have a friend or relative who is on a grief journey. Everyone grieves in their own way, but I hope to share in a future post some simple things you can do for those who are grieving. I finally did it! 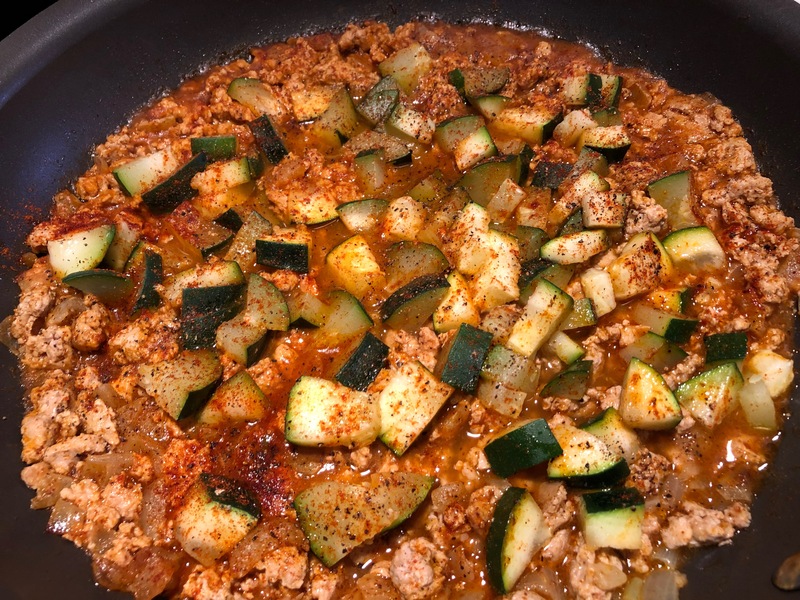 I have a new theme for Healthy Home Blog. It’s just been installed so it will take a while to get everything like I want it. Hopefully, that will not take near as long as the time it took for me to actually change the theme. My life changed so much nearly five years ago, and I lost my interest in blogging. My boss encouraged me to start blogging again, and I did a little bit but never followed through. He still has it on my weekly task sheet to work on Healthy Home Blog, and that’s been a weekly reminder to start writing again, something that I used to enjoy so much. This new theme is a step in the right direction. I’ve had The Magnolia Story on my fireplace hearth on the very top of my “books to read” stack. When I started reading it this past week, I could barely put it down. The openness and authenticity is like a breath of fresh air considering all that has been in the media recently. Their story is a beautiful love story, full of ups and downs. Has life given them an easy ride? No way! They are both very hard workers and have encountered some tough times financially and been in some tight binds. But through it all, they held on to each other and did not let those hard times drive them apart. If anything, they brought them closer together. And time after time, Joanna could see God’s part in leading them to where they are today. Before I read their book, my family surprised me with a visit to Magnolia Market. It was as much fun as I thought it would be, maybe more. I knew it was small, and so I wasn’t expecting this big, huge market. But I must admit, it’s larger than I thought it would be. When I got to the part in their book that tells how they came to be where they are today at the Silos, I could picture every bit of it. 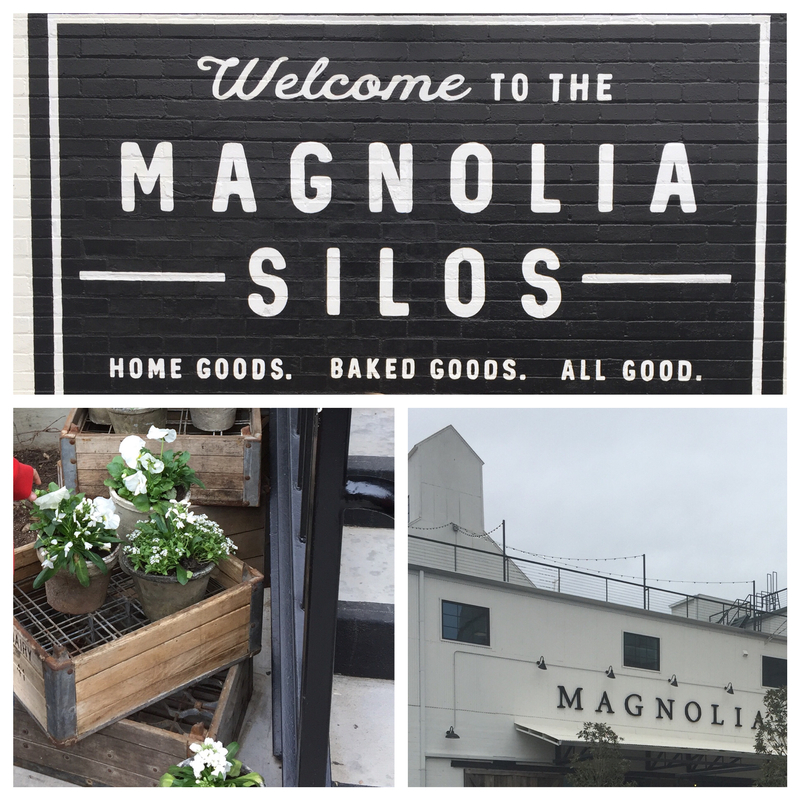 Next time I visit, I’ll know the special story about the Silos in The Magnolia Story. So sweet! 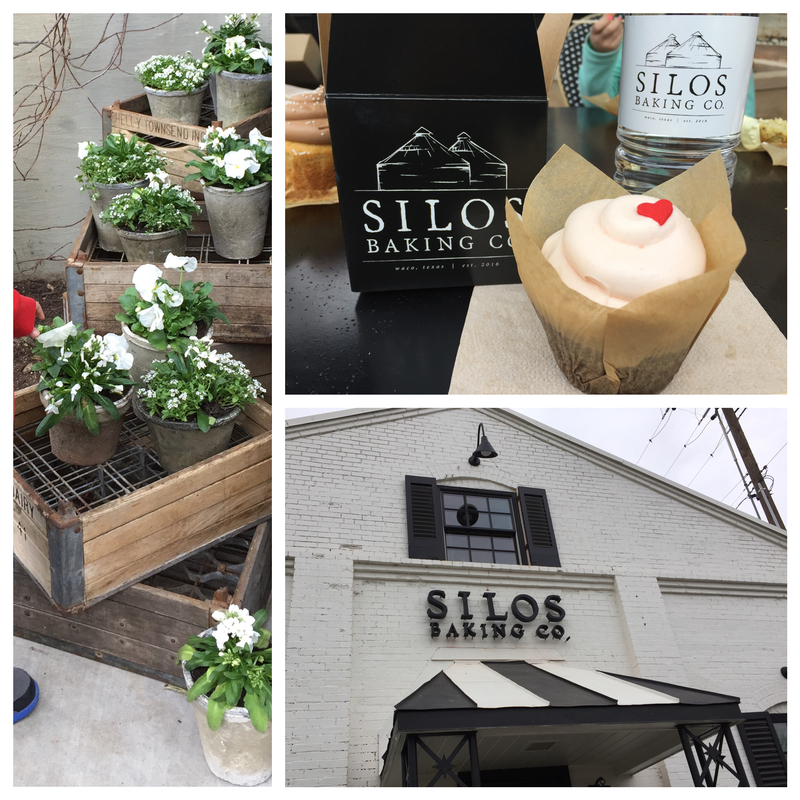 Joanna had a great idea and great design in the Silos Baking Co. which is a must when you visit there. Don’t let a long line scare you off. They have this down to a science, and the line moves very quickly considering you make your decisions on which cupcakes you want before you ever get to the counter to order them. They have the cupcake menu on an order card and you mark your order while standing in line outside on the sidewalk. Next time I’m there, I want to notice her attention to the interior of the bakery which she mentions in the book. 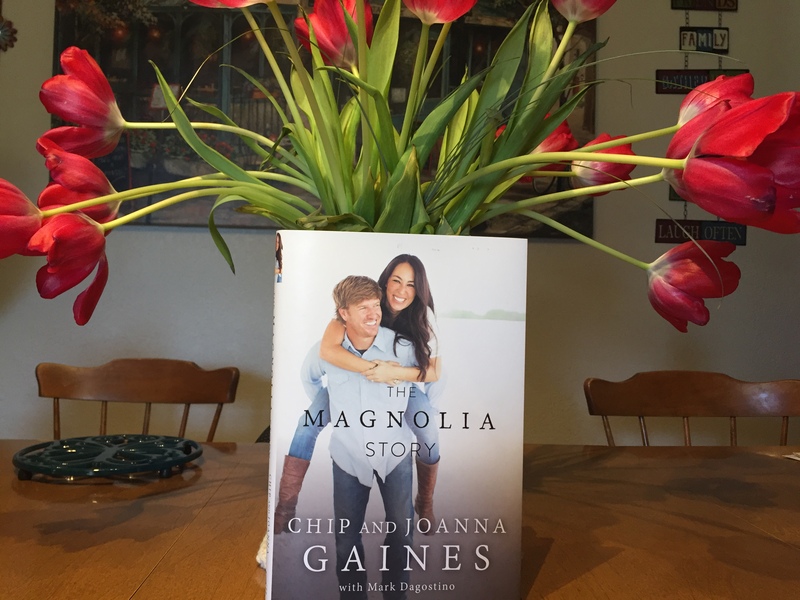 Chip and Joanna’s whole life story is in The Magnolia Story. I couldn’t help but feel like I know them in a way after reading their book. If you’ve already read their book or if you’re planning to read it, let me know what you think. I hope you enjoy it as much as I did! Pardon the dust, though. How to Teach Kids is still under construction and lacks a side bar. But hopefully, it will be back before too long. (FYI, my site was hacked and I completely lost my original theme.) Hope you find something that will be helpful to you there!